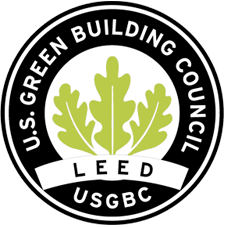 LEED is changing the way we think about how buildings are planned, constructed, maintained and operated. At Mowery, we understand the impact our projects have on the community, the environment and most importantly the people that live, work and play within our facilities every day. As a result, we believe strongly in sustainable building principles and seek to incorporate them into every building project. Today, there are several green building rating systems available with the most popular and widely known being LEED (Leadership in Energy and Environmental Design). LEED-certified buildings use key resources more efficiently when compared to conventional buildings which are simply built to code. Our team can assist with LEED evaluations and recommendations and understands not every project is suited for LEED Certification. We’ll navigate you through the process and help you understand the costs involved and whether a certification is right for your project.